This excursion gives you the opportunity to visit the beautiful Islands of Lefkada, Kefalonia, Ithaka, Scorpios and to view the famous cave of 'Papanikolis' on the Island of Meganisi. We leave Parga at 7.30am and head by coach to the island of Lefkada and the resort of Nidri. Here we board the 'Alexandros' boat for our cruise. Our first stop will be at one of the award winning beaches on Lefkada where you have time to swim in the torquoise waters. We then continue our journey the island of Kefalonia and the beautiful village of Fiskardo. Here you have free time to explore and have lunch. Our next stop is on the fabled Island of Homeric legend, Itaka, and the small picture postcard village of Kioni, where you can browse the shops and stop for refreshments. We then sail across to the island of Meganisi and visit the historic cave of 'Papanikolis' before heading to the Island of Scorpios which belongs to the Onassis family. 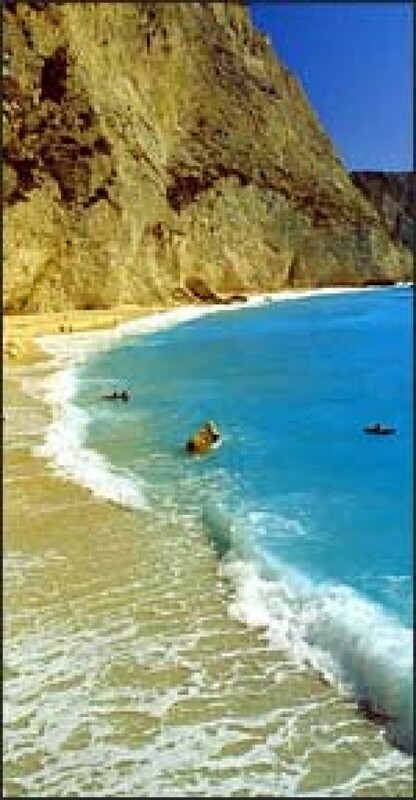 At Scorpios you have 30 minute to swim, take photos and visit one small beach ( the rest of the Island s prohibited). A thoroughly enjoyable day not to be missed!